Dr. Aldrich graduated from Kent State University with an undergraduate degree in Integrated Life Sciences. She then attended medical school in Northeastern Ohio Medical University in Rootstown, Ohio where she was inducted into the medical honor society Alpha Omega Alpha. During medical school, Dr. Aldrich developed an interest in dermatology and was accepted into University Hospitals Cleveland Medical Center for residency. She published research on rosacea twin studies during her residency. Dr. Aldrich served as Chief Resident in the last year of training and worked as a dermatologist in Westlake for two years after graduating residency. 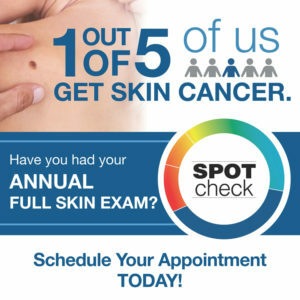 Dr. Aldrich specializes in general dermatology. She sees various conditions including acne, rosacea, skin cancer, eczema, psoriasis, and many others. Dr. Aldrich is Board Certified by the American Board of Dermatology.